Our office is open Monday thru Friday from 8:00am – 5:00pm. A member of our Medical Team is on-call 24 hours per day, 365 days per year. Co-payments, co-insurance, and any outstanding balances are expected at the time of Service. For appointments, please call 561-432-3455 or click here to request an appointment. I am new to Managed Care/ HMO’s. What should I expect for my first visit? 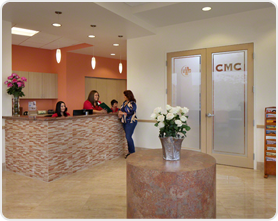 For those who are new to managed care, we make the transition from indemnity to managed care seamless. For your first visit, please arrive early to complete the necessary patient information forms. Many of our patients enjoy additional medical benefits from managed care plans including savings on out-of-pocket expenses. Please speak with a member of our staff for further details. All prescriptions and refill requests should be requested during normal office hours. Please allow 48 to 72 hours for your request to be refilled. We prefer that your pharmacy contact our office at 561-432-3455 or by fax at 561-432-8755 for renewal of medications. I need a referral. How do I go about obtaining one? Your physician/ nurse may refer you to specialist. Please allow between 48 to 72 hours for processing. We will contact you with further instructions. How do I contact the office after office hours? After hours, our answering service can reach our physician on call.